Composed by Henry Purcell (1659-1695). Edited by Bruce Wood. Mixed Voices. Sacred, Choral Collection. Vocal score. 112 pages. Oxford University Press #9780193533516. Published by Oxford University Press (OU.9780193533516). ISBN 9780193533516. 12 x 8 inches. 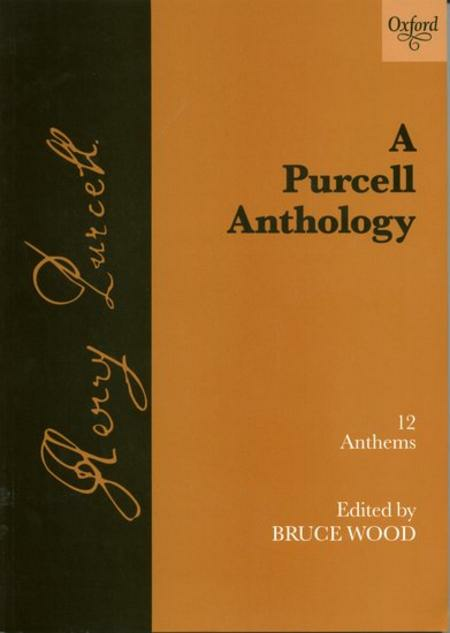 An anthology of Purcell's most popular anthems, covering the whole range of full, verse, and symphony anthems. The collection consists of specially prepared performing editions, with fully realized organ parts and easily playable score reductions of the anthems with strings. String parts for O sing unto the Lord and Rejoice in the Lord Alway are available on hire.